Develop a comprehensive program of diverse suppliers, vendors, and contractors to provide opportunity to local businesses to support the real estate and operations of Under Armour here in Baltimore. Year Two Progress: The Supplier Diversity Program, including MWVL (Minority, Women, Veteran and Local) and LGBT, launched this fall. UA is engaged with new diverse suppliers and vendors in the City as a result of our new program. Continue to invite pre-qualified Minority, Women, Veteran, Disability, and LGBT-owned businesses to bid on potential work that is appropriate to their level of skill and experience. In addition, we will establish processes and procedures to promote this as common practice across the Brand. Under Armour currently has diverse vendors providing goods and services for our projects nationwide. Year Two Progress: Under Armour is already doing this, and is continuing to work to expand it. Continue to collaborate with AMCBA (American Minority Contractors and Businesses Association – Baltimore Chapter) on a routine basis to share information on upcoming projects and seek bids from their membership. Implement a targeted summer hire program for Baltimore City Youth ages 18–21. Year Two Progress: Pilot program of the “Uplift Academy Internship Program” launched in Summer 2016. UA partnered with New Psalmist Baptist Church to fill eight, five-week, intern positions this summer in the DH, Brand House, Factory House, Facilities and HR. Of the eight participants, seven completed the program, more than half were on-boarded in to full-time roles, and two will be considered for future opportunities.In 2017, Uplift Academy offered 8, 7-week paid internships in corporate positions to Baltimore high school alumni pursuing college degrees. This program was designed to provide a try-out for a full-summer internship (12 weeks). Program was re-branded to the Under Armour KickOff Program. Year Two Progress: In partnership with Thread, seven Baltimore City youth helped the Retail Team with Sample Sale. Two offers were extended. Co-sponsor a local career fair for targeted entry level jobs, in partnership with BLocal and its participating companies. Year Two Progress: Under Armour’s Recruiting Team is currently exploring partnership opportunities and other career fairs where we can have a presence for 2017. In Feb 2017 UA partnered with a group of students from Johns Hopkins Univ. to build and pilot a program called “Build. Develop. Empower” to assist local Baltimore residents with resume writing and interviewing skills. The one day session was held at the Living Classrooms facility and was attended by 8 local Baltimore residents. Year Two Progress: Under Armour participated in the National Urban League Career Fair in Baltimore on Aug 4th-5th. 25 local individuals were identified at the event and invited to come back the following week for additional interviews, and 6 were hired at the Contact Center.Year Two Progress: Under Armour partnered with the National Retail Federation to launch a new retail fundamentals training program called Rise Up. Six US cities were selected for the first year, and Baltimore was the very first launch city. UA assisted in acquiring the Living Classrooms indoor football field as the venue, and the Talent Acquisition team attended a 1-day career fair for the graduates of the training. On September 15th, 2017 UA interviewed 20 attendees, with 2 moving on to a 2nd round of interviews. Partner with local organizations, as well as BLocal and its participating companies, to develop a program around “Workforce State of Readiness,” focusing on job skill development and training, as well as career awareness at targeted schools and businesses. Year Two Progress: Successfully launched UA’s Baltimore Career Combine, a 3-day career development pilot program for 40 Baltimore Area High School alumni currently pursuing a college degree, in early January 2017. Students were grouped in teams, mentored by UA Teammates and exposed to various areas of UAs business and product life-cycle. Following several business presentations, the students developed a new UA product based on a target consumer and presented to a judging panel of UA leaders and guests on day 3. Students also received presentation, interview, and resume training. Students will be considered for future opportunities. Year Two Progress: In July 2016 hosted the Light City Teen Scholars, a program for a group of 12 Baltimore City high school sophomores and juniors to gain work experience and professional skills. UA Hosted the group for lunch, a tour, a career panel, and career roundtable conversations with a selected group of teammates. Year Two Progress: Under Armour is continuing to work through Tracepoint Atlantic on the Mass Transit solutions for the new DH in Sparrows Point. Build an online local supplier diversity portal, allowing certified Minority, Women, Veteran, Disability, and LGBT-owned businesses who have the appropriately qualified work force and financial capability to register as future potential suppliers for Under Armour, in 2018. Year Two Progress: Working on leveraging SIPM (an Ariba system) to track certifications and manage supplier’s performance. Identify measurable supplier diversity goals, in targeted spend categories, to be achieved throughout 2017 and 2018. Year Two Progress: On-going. Working to identify a person internally who will own all Procurement reporting, including this commitment. Make a financial donation toward capital improvements, programming, and operations to support the renovation of the youth center located at 1100 E Fayette. Once capital improvements are completed, world class programming and support services will be provided to the Perkins community. This location will be our pilot program as we look for similar opportunities throughout the city where we can have an impact. Year Two Progress: Our first “UA House” opened in September in support of the 30,000 residents in the Perkins Home Community. Year Two Progress: Skyview Photos was launched by six youth entrepreneurs. Year Two Progress: Power 52 (Ray Lewis’ solar company) is one of the many companies who will be leveraging the space at UA House for workforce development and training. 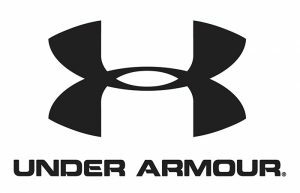 Under Armour (NYSE: UA), the originator of performance footwear, apparel, and equipment, revolutionized how athletes across the world dress. Designed to make all athletes better, the brand’s innovative products are sold worldwide to athletes at all levels. The Under Armour Connected Fitness™ platform powers the world’s largest digital health and fitness community through a suite of applications: UA Record, MapMyFitness, Endomondo, and MyFitnessPal. The Under Armour global headquarters is in Baltimore, Maryland. For further information, please visit the company’s website at www.uabiz.com. Under Armour developed new goals for 2017.